Weighted blankets are the new rave! Everyone is running out and buying them. I constantly see celebrities endorsing them on social media. But I always wondered do they really work? I want you to be the judge! 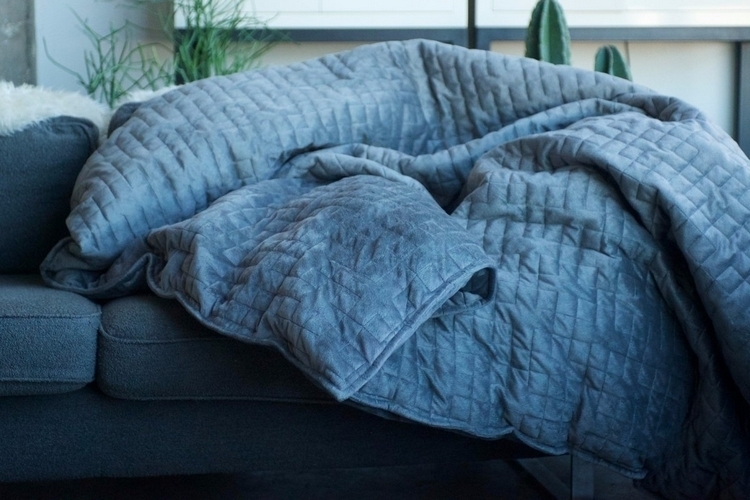 The Journal of Sleep Medicine and Disorders claim that weighted blankets help people fall asleep faster AND get a better sleep. Other research shows that it can reduce anxiety after using a 30 pound blanket! Some of you may be saying 30 pounds?! No way! Well no need to worry because these weighted blankets come in different weights. Some start as light as 15 pounds and can range up to 30 plus. Scientists say it is best to choose an option that is around 10% of your body weight. At first I personally thought wow I will be way too hot! I prefer to sleep in the cold so I thought I will never be comfortable with a hot, heavy blanket on me. I was quickly told that the microfiber is very breathable and prevents you from getting too warm. Of course you will find these blankets ranging in price. I for one am definitely excited to try one! We want you to try one too, and we want your feedback! Already tried one? Comment below your experience!